CLOSEOUTS. 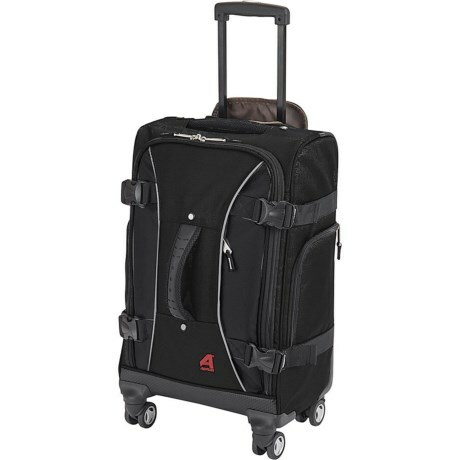 Athalonand#39;s Hybrid spinner carry-on suitcase combines the best of a duffel and a suitcase with a spacious main compartment, sturdy ripstop construction and easy-rolling 360-degree wheels. Available Colors: GRAY, BLACK, NAVY/GRAY, NIGHTVISION.